All kinds of drinks, mineral water, pure water, wine, sterilization, anti oxidation, mildew, preservation. 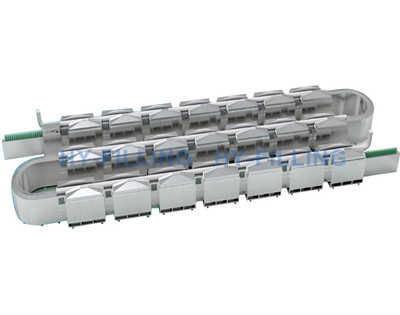 Can the fruit drink after sterilization reach the requirements of commercial sterilization; can meet the set: the production of 12000 bottles per hour (500ml/ bottles), 18000 bottles, 24000 bottles. When the food in the microwave field, polar molecules rotate rapidly, mutual friction between molecules, to generate heat, so as to kill the vegetative forms of bacteria, mold and its spore. In the microwave field, nucleic acid and protein can produce mutation, promote microbial death, composed of microwave non thermal effect. (3) the analysis from the angle of cell biology, in microwave field, cell enzyme (or cell wall) can occur mechanical damage field, so that cells within the material leakage, affect their growth and reproduction. Microwave sterilization temperature generated on behalf of microwave absorption amount of food, not entirely by heat sterilization of microwave sterilization, so does not need too high temperature, which can effectively maintain the sensory properties and nutritional value of products. This is the value of it.